Watching your child grow and develop is one of the main joys of parenting, but it can be hard finding the right balance between giving your child room to learn while simultaneously protecting them from unnecessary risk. Never is this more important or regularly tested than when your child is first learning how to move around or walk. 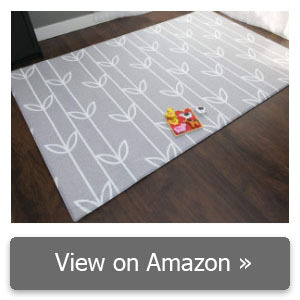 Because you cannot always control to the material of the ground everywhere you go, it is good to have a baby play mat on hand to make sure your child will always be able to play safely. That said, there are many different types of baby play mats designed to be used for different age groups and in different settings. What is the Best Baby Play Mat in 2019? 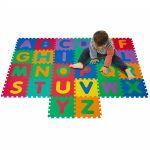 This can make figuring out which is the best baby play mat for you with a confusing list of different qualities and features. That is why we have put together a list of the 7 mats and highlighted what each one does best. Then we provided a helpful buyer’s guide. Baby Care is back on our list, except this time the company though to make something that could work for the parents just as well as it could work for their children. By this, we mean that the design of this Baby Care play mat was not made to inspire play and was instead meant to be used primarily as a general rug that can also serve double duty as a play mat. One of the biggest ways Baby Care accomplishes this is by simply providing a neutral, abstract design. Now, you can use this as a runner or some other type of rug without having to pick it up every time your child is done for shame of appearance. 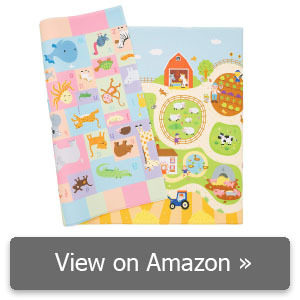 Aside from the fact that the design was toned down to appeal to an all-day use, the Baby Care play mat is not that different from their other models. 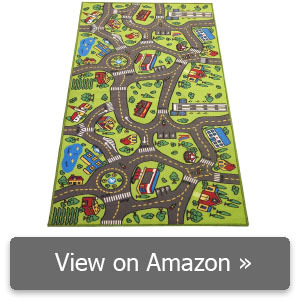 In fact, the primary difference is superficial, but this is great because Baby Care produces one of the all-around best play mats that we saw. The PVC material is still wonderful for its ability to make messes that much easier to clean, considering it is waterproof, while also being flexible enough to be easily rolled up for storage or transportation. On top of that, this bay play mat is reversible, which is even more relevant considering it is designed for constant use. Angels is another one of those companies, which does not have a true specialization, but it does have the only online business model going for it. This business model allows the company to pass the money it saves from overhead on to the consumer, which in this case works out wonderfully for you, as this is the least expensive baby play mat that we reviewed. That said, this is more than simply a cheap option as this iconic play mat has been around for decades and has recently been revitalized by the Angels brand for the modern era. To get one thing out of the way first, this is not at all the best baby play mat if you need something that is extra thick. However, if you need a play mat that you can throw down without really having to worry about it, then the Angels is a good option. Tiny Love is likely the most trusted company on our list with a history that begins in 1991 and includes numerous awards along the way. In fact, this one of the other companies we reviewed which specializes in products for children and younger. 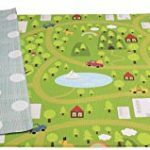 In this case, the Tiny Love play mat we selected is actually designed to be used by a younger age group and as such is the best infant play mat that we saw. While a big part of this begins with the fact that the Tiny Love is a quilt baby play mat, it is actually more convenient than at first glance. Whenever you get a play mat for an infant, you need to make sure to get a product that provides a great tactile feel. Thankfully, the quilted nature of the Tiny Love play mat provides just that while also providing plenty of soft cushion for when your child begins to crawl just make sure not to use this for a toddler learning to walk and the thick folds of fabric are liable to trip them up. Still, this baby play mat actually comes with a number of different accessories to help keep your child entertained. In this way, the Tiny Love is technically both a quilt play mat as well as an activity play mat. Baby Care oddly distinguishes itself on our list as one of the few brands which actually specializes in baby products to pretty much the exclusion of everything else. Even better than that, Baby Care is actually primarily focused on products used to babyproof your home to prevent them from injuring themselves. This is great as it already lets us know what the company’s priority and philosophy will be. On top of that, Baby Care is actually the North American brand for the Korean company, but this product seems to be incredibly popular no matter where you go which is part of the reason why we rated it our best baby activity play mat. Keep in mind, this is not a “true” activity play mat in that it comes with various toys and accessories to snap on. 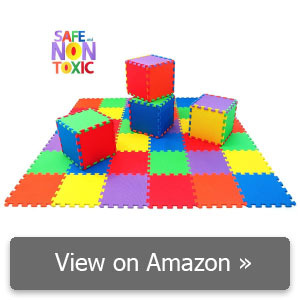 Instead, this is essentially one of the most durable and safe baby play mats that we saw which can transfer easily pretty much everywhere and provide just as good of a result. For example, this play mat is made of PVC, which means that you do not have to worry about any kind of mess, as this material is waterproof. On top of that, the Baby Car play mat also features an inner layer filled with a noise-reducing material, so you do not have to worry about the play disturbing you. Play Platoon is a bit interesting in that it is a bit difficult to tell whether it is a brand of Dream Builder LLC., or whether it is its own company. Regardless, it soon becomes clear that Play Platoon is one of those companies, which sprung up virtually overnight and sells a wide range of products, which are cheaply and easily made in factories. Considering this potential background, it is even more surprising that the Play Platoon is not only a solid baby play mat but is actually best baby play mat tiles that we saw. In fact, this is arguably the only baby play mat we saw which truly blurs the line between an accessory and the actual toy itself. 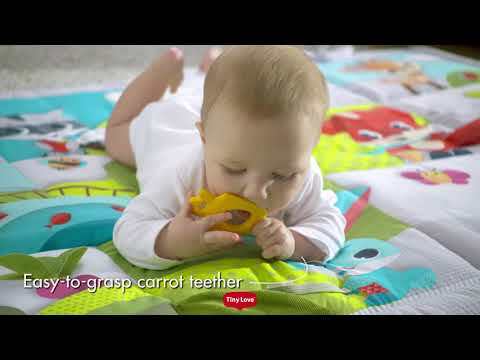 This may be far from the first tile baby play mat that we looked at, but it definitely stands out primarily because it can become the toy itself. This is because the Play Platoon play mat’s tiles can be fitted together at right angles while still holding their shape. Aside from the fact that this gives you a good idea as to how sturdy these tiles are, it also means that you could conceivably use some of the tiles for a play mat and some for a building toy or even use all of the tiles for building toys. The tiles are made of EVA foam which provides plenty of cushion but is only water-resistant, not waterproof, so be careful with messes. You may not necessarily have heard of them, but SoftTiles has been around for almost 2 ½ decades and has been able to sustain itself that long on primarily a single type of product: the tile baby play mat. With that being the case, you might expect this to be the best baby mat tiles, and while an argument could be made towards that end, we actually believe that this is the best baby play mat for crawling babies due to a subtle change in the design that makes a huge difference in the real world and could easily be the reason that you opt for this model over other brands’. The single feature that seems obvious when you think about it is the sloping of the edges of the SoftTiles play mat. This will go a long way in preventing your toddler from catching the edge of the foot or toe on the play mat and tripping. That said, the SoftTiles brings more than that to the table with one of the largest total surface areas that we saw at 78” x 78”. 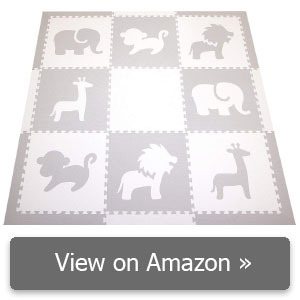 This is a tile baby play mat and it comes with 9 different tiles including their borders and the entire product comes in 12 different styles for you to choose from. Unlike some of the play mats on this list, the SoftTiles is waterproof which makes cleaning up messes that much easier. Milliard is an interesting company because they have seemingly accomplished the American Dream as a business began as a small family entrepreneurship and expanded in short order to become its own conglomerate. Aside from the fact that this tips the hat in regards to expected quality levels, it also means that Milliards may sell a number of different types of products, but each product category is made by its own specialized brand. That said, the Milliard baby play mat is actually made by Milliard Bedding as opposed to the Milliard brand that focuses on children’s products. For most purposes, the Milliard may seem like a basic rug baby play mat sure, there is a design which is meant to inspire play, but there does not really seem to be much else special about it on the surface. That is because the primary benefit of the Milliard baby play mat is that is made of memory foam. While this means that the Milliard is not waterproof and is arguably the worst play mat with wetness it also means that it will be soft enough for your infant but sturdy enough for your toddler, bridging the two primary age categories for this product. Just be sure to roll this play mat instead of folding it as that can crease and wrinkle the design. This may not necessarily be the single most important quality of a baby play mat depending on your circumstances but it will give you best rough idea of how the play mat should be used. For instance, if your child is beginning to stand or learning how to walk, then there is a good chance that the loose and fluffy padding provided by a quilt play mat will actually impede this process. Regardless, the type of mat can at least provide you with an idea of what to expect from the product in general and what age group this is likely targeted towards. This one does not really have any meaningful distinction in terms of setting or age group primarily because it is so convenient. While this will never be the truly “best” type of baby play mat for any age group or setting, it can definitely provide such a wide range of options that there is almost certain to be one of this type in every niche. That said, rug type of baby play mats also often come in a wider range of qualities than most of the other types, and it can be more difficult to tell the different members of this type apart. Ideally, you want to look for a back that is non-slip with a top that provides some form of interactive design meant for play. This is almost exclusively reserved for infants and children that are not yet walking as the looser fabric from the quilting can catch on toddler feet and trip children up. That said, this is an excellent option for babies who are crawling or do tummy time as the quilting is both soft to the touch as well as padded. On top of that, quilt baby play mats also have the ability to sew toys and other interactive elements into their product without sacrificing the structural integrity. That said, this type would rarely be made of materials that are even water resistant meaning that messes will be messier with this type of baby play mat compared to others. This is a unique type of baby play mat and may arguably be the best for most purposes, but it is devilishly inconvenient compared to all of the other types even the gym baby play mat. 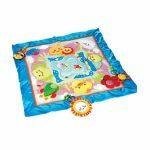 Essentially, a tile baby play mat will be made up of numerous individual tiles, which lock together, generally like a puzzle, to form a larger, sturdy baby play mat. 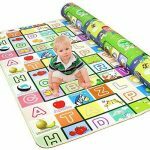 The sheer number of options for arrangement make this an incredibly versatile type of baby play mat, but the fact that this type if generally made out of some kind of foam and often provides better padding makes it great for those children who are learning how to walk. This is easily the most expensive type of baby play mat across all market levels, though it is not too terribly difficult to see why. 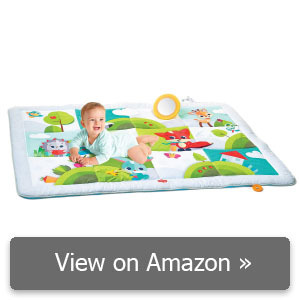 A baby play mat gym will generally be a rug play mat that comes with various toys and accessories, which were designed to be connected or attached to the baby play mat. These toys and attachments are also generally meant to inspire the child to move with dangling options either overhead or with some other form of interactive quality. It should be noted that this type is notoriously difficult to make durable due to the material constraints and often has a narrow age window. In the end, there are too many different developments that a child goes through in such a relatively short period of time for any of these baby play mats to the best one for all people. 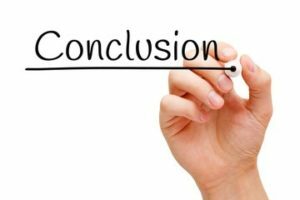 As such, you are better off figuring out what kind of mat is made for your child’s development, though there are a couple of features that can actually work well for more people than others can. 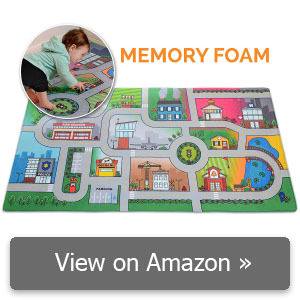 If you are looking for a baby play mat whose features offer a solid balance between the needs of different age groups, then we recommend the Millard, which is the only baby play mat we reviewed made of memory foam. This is important because, despite the potential for messier cleanups, this material is great for infants who need a softer texture as well as toddlers who need padding without restriction. Of course, if your needs run a bit more general and you do not might paying a bit more money then we recommend our Editor’s Choice, the Baby Care Play Mat which offers one of the most durable baby play mats that we saw largely because it is made of PVC. Aside from being durable, this also makes the Baby Care Play Mat waterproof and much easier to clean than many of the other products reviewed. Comments for "Best Baby Play Mat"